ROYAL HIDEAWAY VOTED THE "Best All-Inclusive Resort"
BOOK YOUR OCCIDENTAL HOTELS & RESORTS VACATION ONLINE TODAY! 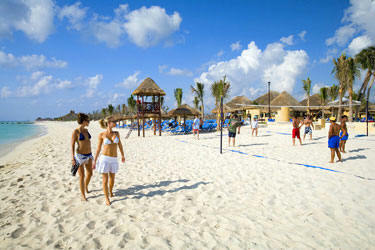 OCCIDENTAL HOTELS & RESORTS offer spectacular settings for the best All-Inclusive vacations under the sun! 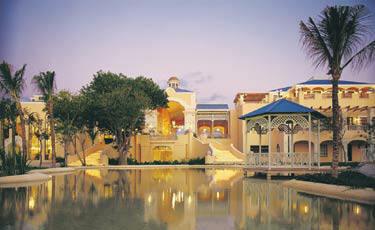 For the ultimate luxury resort where every indulgence is included, choose Royal Hideaway Playacar by Occidental. Enjoy all the finer things in life on your terms, from a private villa concierge to 24 hour room service.. and from a la carte dining in six gourmet restaurants to premium alcoholic beverages. It's no wonder that again in 2004, Apple vacationers selected Royal Hideaway Playacar by Occidental as the "Best All-Inclusive Resort" -- a four time Crystal Award Winner! 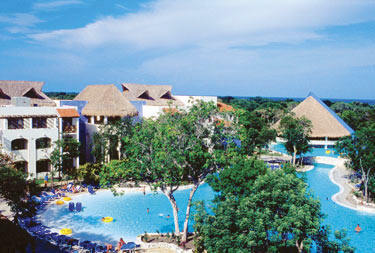 With its ideal location adjacent to Xcaret Park, Grand Xcaret by Occidental is the perfect selection for a grand getaway. This spectacular resort, in authentic Mediterranean design, thrives harmoniously in its exotic natural setting. Choose the Hacienda Club section for a boutique-style hotel with extra special amenities. The renovated Allegro Playacar by Occidental is a festive experience, with lots of leisure activities and lively entertainment. It's all fun, all the time! No matter which resort you choose, you will be graciously served in a setting of unrivaled beauty. Allegro Resorts - Occidental Allegro Resorts offer a festive experience with traditional perks of an all-inclusive vacation including delectable cuisine, leisure activities and lively entertainment for budget conscious consumers. Grand Resorts - Occidental Grand Resorts offer a grand getaway. The Grand Resorts provide enhancements to the restaurant offerings and services in additional to all the great features of an all-inclusive vacation package. Located adjacent to the Mayan Riviera’s famed ecological park, Xcaret, this hotel’s authentic Mediterranean-style and majestic tropical location create the perfect vacation setting and an exotic home away from home. Expansive subterranean rivers form channels through the resort’s streets, allowing it to thrive amidst its exotic natural setting. Royal Hideaway Resorts - Occidental Royal Hideaway Resorts allow you to enjoy the finer things in life at luxurious world-class resorts. At these resorts you'll be pampered to the fullest extent with perks that could include anything from a private villa Concierge to 24-hour room service. 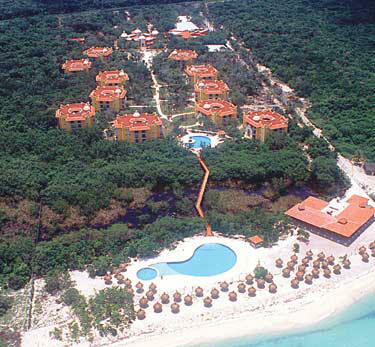 At the Occidental Royal Hideaway Playacar , they want to cater to your every whim and desire. Stay in luxurious villa accommodations and enjoy an extensive concierge service that will take care of your every need. If it's luxury you've often dreamed about but rarely had the time to enjoy, then come to the Occidental Royal Hideaway Playacar. Where everything around you, from service to food to amenities, is nothing but the best. Occidental Grand Cancun - COMING SOON!